Ask Us How To Get Amsoil At Wholesale Prices For You Or Your Business. 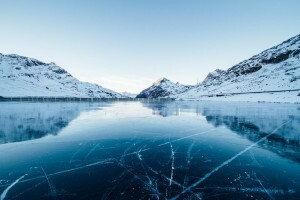 If you're one of those adventurers who likes to boat when the temperatures are freezing, this post by bestoilmall in Las Vegas, NV will help you stay safe while you do it. Call bestoilmall at (702) 480-3533 to purchase top products for your boat's maintenance, such as the most effective synthetic oil in Las Vegas, NV. For starters, it's obvious that the weather will be freezing when you're on your boat, which is why, the first tip is to make sure that you stay safe and warm. This includes wearing a lot of layers, as well as warm and waterproof clothes. Don't forget to don a life jacket over all of that just in case. It's also recommended that you keep an extra change of clothes, and a lot of blankets and towels aboard, as you never know when you could need them. Emergencies can present themselves anywhere, any time. This includes aboard your boat when you're cruising around on a winter afternoon. For that reason, it's crucial that you have an emergency kit with you that will allow you to deal with those difficult situations in an effective and successful manner. Your emergency kit should include non-perishable foods, water, a first aid kit, flares, throw rings, a fire extinguisher, communication devices, and other similar tools. Check that it's all in there and in good shape before you head out into the water. Needless to say, the weather will be cold while you're boating during winter. However, it's still necessary that you check the weather forecast before you head out. This is because, there's the possibility that there will be rainfall, snowfall, or hail during your boating adventure; all of which can make said experience a more dangerous one. Checking the weather forecast will allow you to be informed of what the conditions will be like, and postpone your trip for another more favorable day, if the weather will be less-than-ideal. As mentioned a few times over, it can be more dangerous to navigate the waters during the wintertime. For that reason, it's imperative that you have a plan of action instead something goes south. Your plan should include a few safe spots, tracking your path precisely, knowing which way to go if there's an issue, and staying communicated with someone on land who can pinpoint your location in an emergency. Once again, the conditions of the wintertime are incredibly harsh. Lest you want to be stranded on the water in the middle of a snowstorm, it's highly recommended that you have your boat professionally inspected. A mechanic will be able to evaluate its condition. More so than that, they will provide any repairs it may need to remain in top shape, so it can endure those freezing conditions perfectly, smoothly, and safely. Keep your outboard's engine in mint condition with AMSOIL high quality products, such as the best synthetic oil in Las Vegas. Guess what? Water is slippery. Guess what else? Boats can get soaked as you cruise on the water. And even though this is true no matter the time of the year it is, slipping during winter can be even more dangerous. This is because falling in freezing water can have dire consequences. To prevent that from happening, watch your step, grab on to rails and sturdy parts to remain balanced, and use special shoes if possible. Winter days are the shortest and darkest of the year. This, as you can probably guess, makes navigating the waters a bit riskier, since you won't be able to see and be seen very well. That's why, it is not only essential that you keep your headlights on at all times, but that you check that the boat's battery and lights work perfectly before you leave. This, to guarantee that you won't be left out in the dark. Finally, there's the possibility that the lake, river, or other body of water you cruise on will have some ice during winter. For thin ice, you probably can navigate through it. If it's a bit thicker, carefully break it up with a boat pole. However, if the ice is too thick, you will need to turn around and go home. Browse AMSOIL's online shop or call bestoilmall at (702) 480-3533 to place an order on products that will save you time and money on your boat's maintenance, like the top performing synthetic oil in Las Vegas, NV.